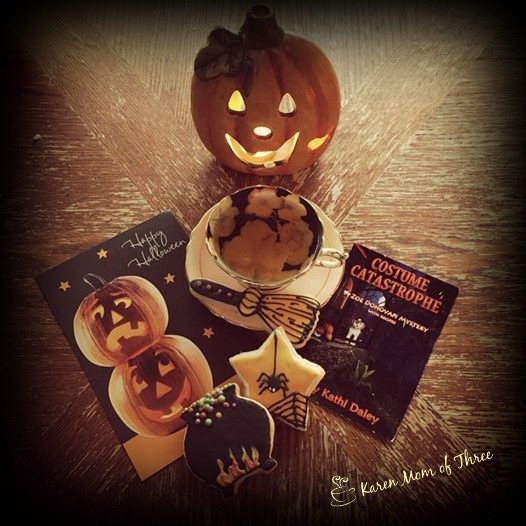 Happy Halloween from my table to yours, though in these photos you can tell that the book I just finished reading Kate Carlisle's Deck The Hallways, has nothing to do with Halloween! Out tomorrow November 1st this is a lovely, feel good, holiday cozy. 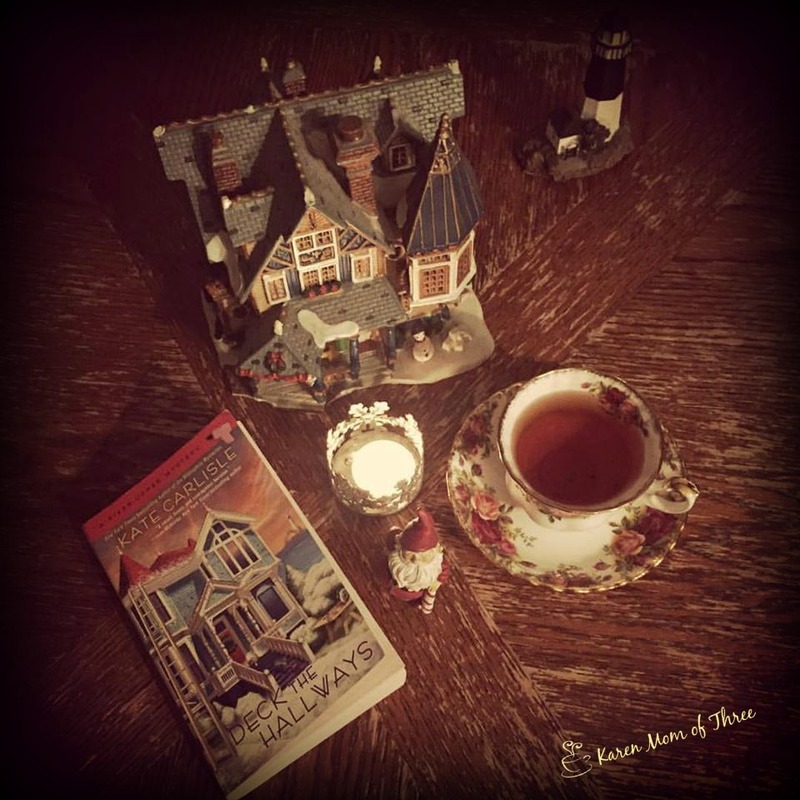 This book is the perfect holiday read, just what you need to get into the holiday spirit. 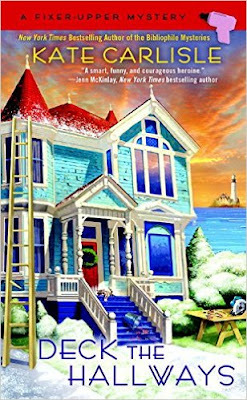 Main character Shannon has her hands full with a huge renovation for a very worthy cause and many families counting on her, throw in a few mysteries and a significant story line to tug at your heart strings and you have basically the perfect holiday story. Reading it I could picture it as a Hallmark movie, cozy on the couch with a big bowl of popcorn and a cozy blanket, settling in for what would surely become a holiday family classic. This book has great feels! 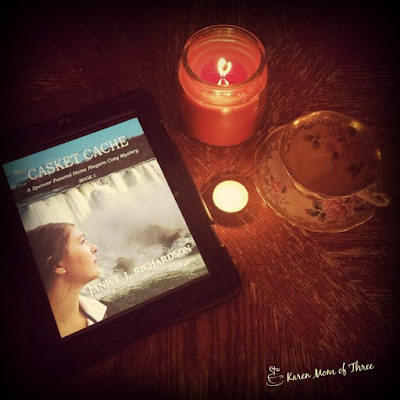 To learn more about Kate Carlisle and this series please click here. To order your copy from Amazon please click here. 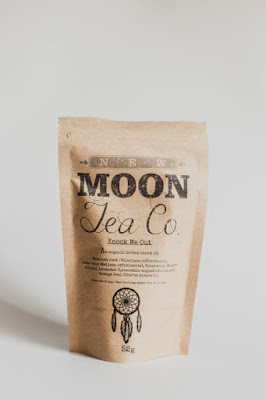 I have been having some trouble sleeping lately with lots on my mind so I have been thinking about ordering this tea which is called Knock Me Out, love the name and the ingredients sound spectacular, An Organic Herbal Blend Of, Valerian Root, Lemon Balm, Spearmint, Lavender, Orange Peel, blended a few hours from my home this is a tea I am looking forward to trying. Click here for the lisitng. 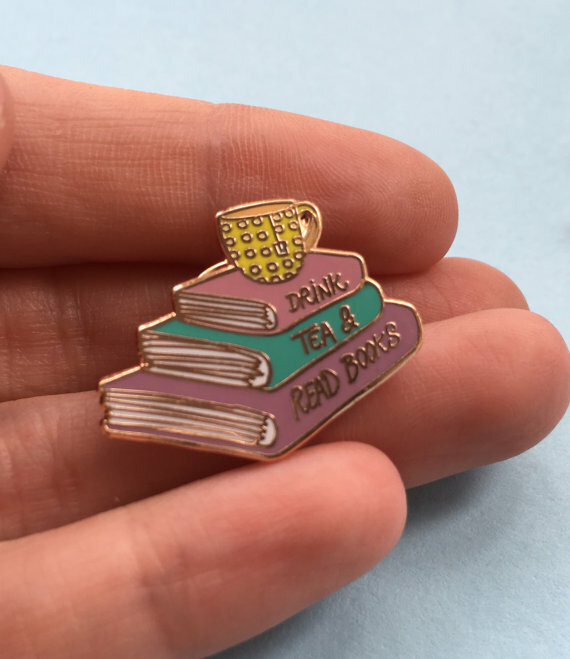 I want this pin, I have no idea why but I feel like I must own it. From the cutest shop on Etsy there were so many pins here that I loved I think I could become a collector/hoarder... this adorable pin can be found on Jelly Button UK's Etsy shop by clicking here. I really really want to order this for my cookie exchange. 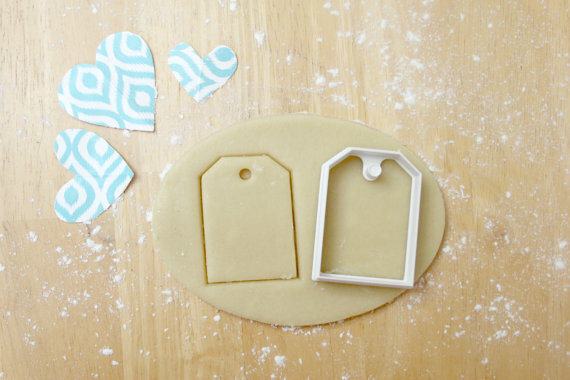 This is so cute and can be a tea bag or even a gift tag sugar cookie, it is made to order and $6 but the shipping to Canada at $13 is what is holding me back, so if you know anyone who can make one or is selling one with shipping that is less please let me know! I am off to read now and hope you don't mind my Sunday Tea and Etsy favorites today. 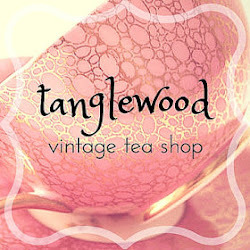 Happy Saturday to you and thank you so much for stopping by for a cup of tea and a week in review. 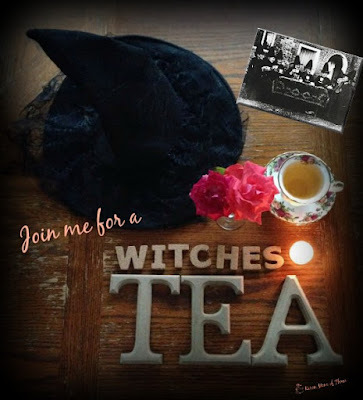 I was so pleased to help host Wednesday's Witches Tea Party on the on going event page for Kathi Daley Books Halloween Spooktackular , a huge thank you to all of you who came and played along and for the wonderful help of authors Nikki LeClair, Jenny Kales, Hunter Murphy, Judy Volhart, Celeste Burke, Diane Rapp, Marine Graff and Jennifer Roche for their time, games and friendship. A Huge thank you to Kathi for also allowing me to participate. Friday morning I placed Deck the Hallways by Kate Carlisle on my table I am looking forward to reading this one! Reading as much as I do I find the dwindling light of this time of year so frustrating, I was happy to read on my ipad for a change and not having to worry about the lighting in the room. 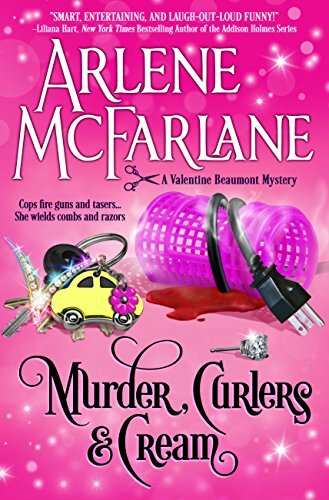 Murder, Curlers and Cream was a very busy cozy by Arlene McFarlane, out now and available on amazon. 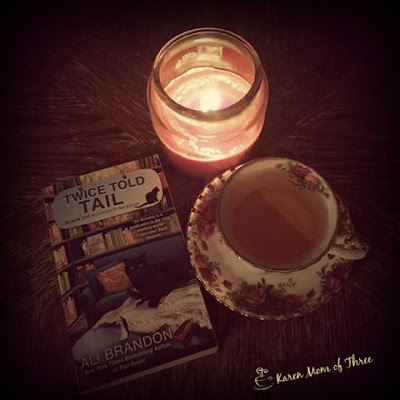 A Twice Told Tail by Ali Brandon is out early next week and is a great read! Fun to read another great addition in the series! CeeCee James book also happily graced my ipad Kindle app this week, isn't the cover of The Bitter Taste of Betrayal fantastic? 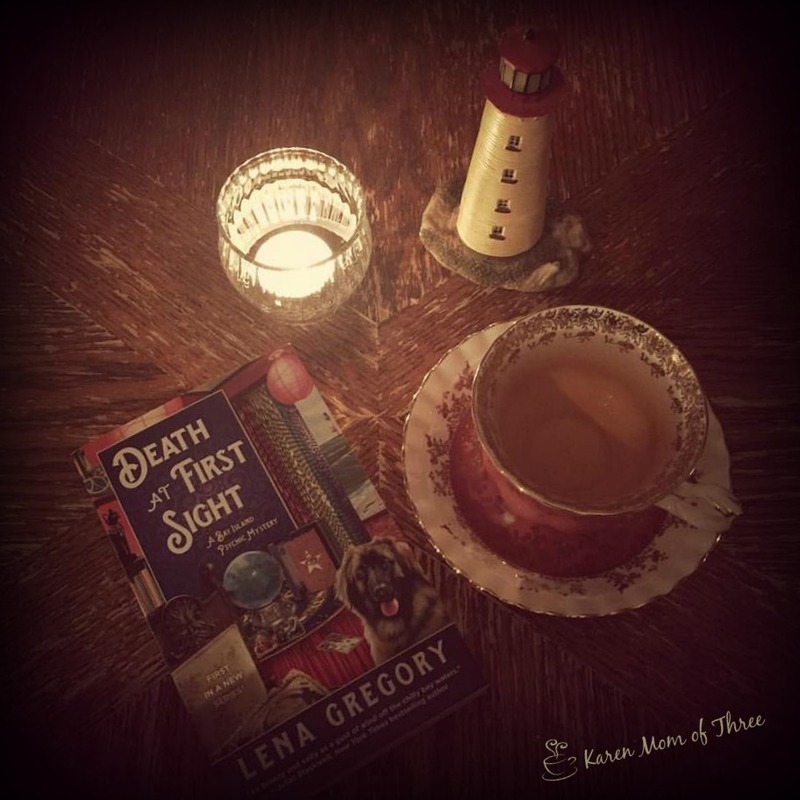 Sunday I shared Lena Gregory's first in a new series Death at First Sight on Sunday and this is a promising new series I think you may just enjoy! I was so very happy to receive a bouquet of Witch themed cookies from a very talented lady on Wednesday Banafshe Ashrafi is a very busy mom of twins one of whom is in my sons class at school and she surprised me with these beautiful cookies that were equally delicious to eat! 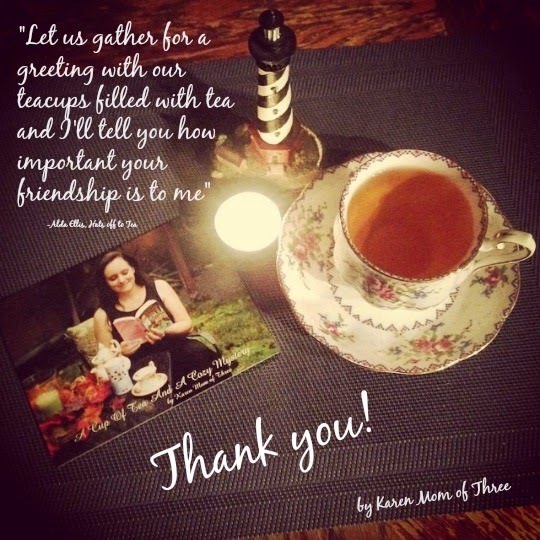 I was truly touched and they arrived on the perfect day the day I was hosting the Witches Tea Party! In my cup this week I have had the Munchies Vanilla Black tea and with the weather as damp and dreary as it has been, it was a delight to have and enjoy! 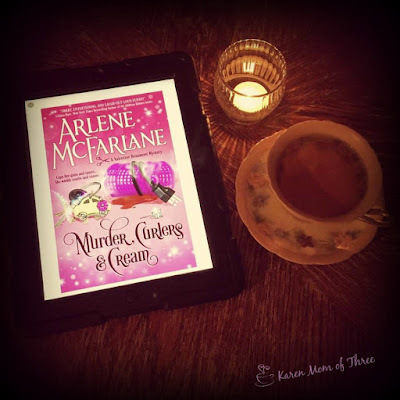 This week I was sent Murder, Curlers and Cream by Arlene McFarlane to review. This was an extremely busy cozy, set in a cozy little hair shop with a cast of very interesting and well thought out characters. I found this story had so much going on that I often forgot that it was a mystery while reading it. It has some very good plot lines, was funny at times and characters I enjoyed, it read like a drama/love story as much as a mystery. Something for everyone in this new cozy for sure. I also loved that Valentine who is the main character drives a yellow bug! Valentine Beaumont is a beautician with a problem. 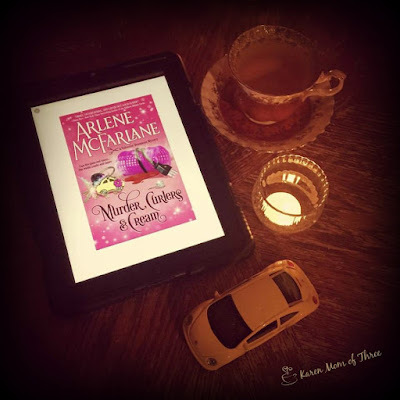 Not only has she got a meddling mother, a wacky staff, and a dying business, but now she’s got a dead client who was strangled while awaiting her facial.With business the way it is, combing through this mystery may be the only way to save her salon. Until a second murder, an explosion, a kidnapping, death threats, and the hard-nosed Detective Romero complicate things. But Valentine will do anything to untangle the crime. That’s if she can keep her tools of the trade in her bag, keep herself alive, and avoid falling for the tough detective.In the end, how hard can that be? To order your own copy of Murder, Curlers and Cream please click here. To learn more about Arlene McFarlane please click here. 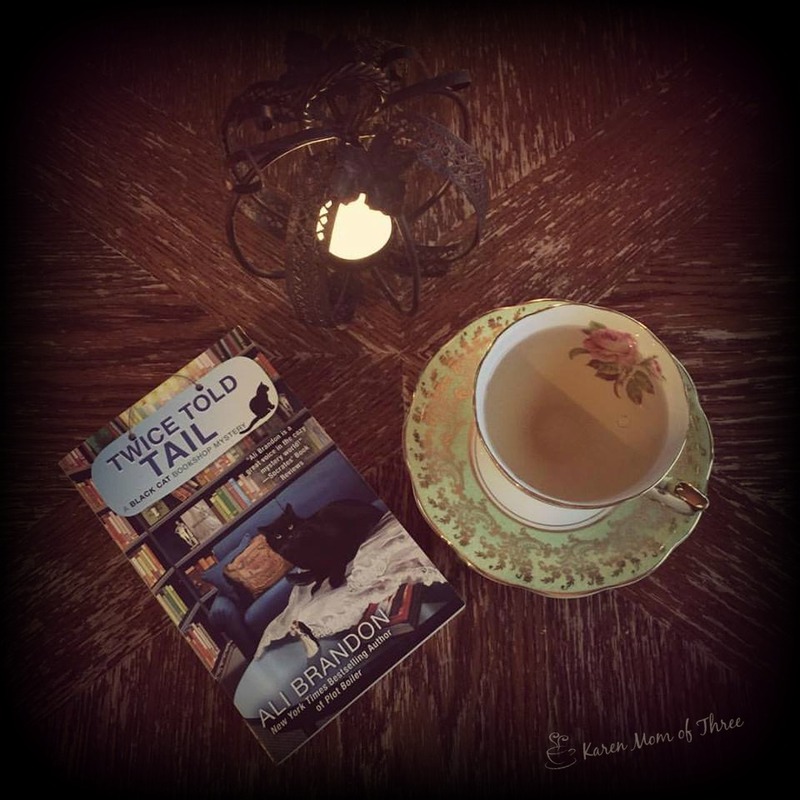 I read Twice Told Tail on Monday night. 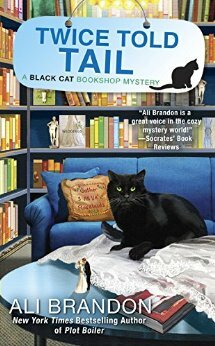 This fun book shop series by Ali Brandon is a fun series about a Texan named Darla, who inherits her aunts book store and black cat named Hamlet. This lovely black cat is not bad luck in fact he has a knack for helping solve local crime. With out giving too much away this mystery had so many ups and downs and was quite thought provoking. This is book six in the series and very much an cozy that will tug at your heart strings. To order your own copy of this November 1st release from Amazon please click here. Learn more about author Ali Brandon by clicking here. 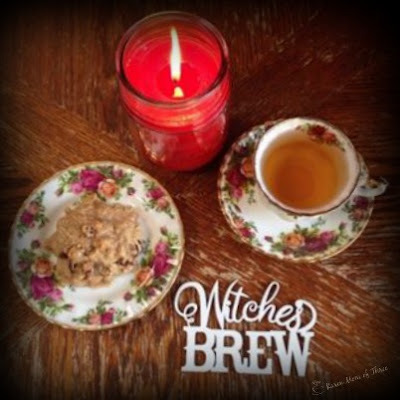 Today I am thrilled to be hosting a virtual Witches Tea Party on Facebook for the fun and fabulous Kathi Daley. 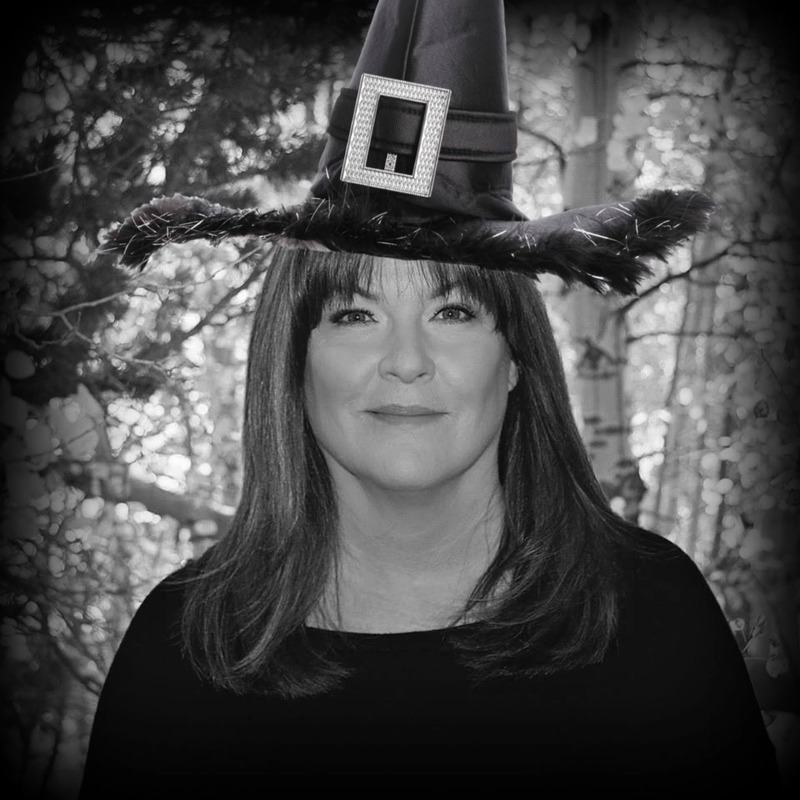 The Kathi Daley Books Halloween Spooktacular runs October 23-October 31st and today is the day I get to take over the job of hosting. 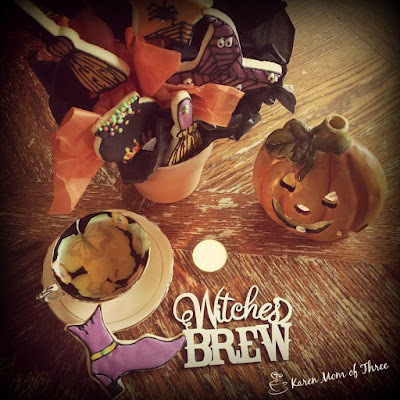 My theme for the day is a Witches Tea and I have created a delightful Autumn Enchanted Scone recipe to share and also invited some wonderful authors to help me celebrate the day. They will be helping me to run some fun games and giveaway's! So please pop on over to Kathi Daley Books Halloween Spooktacular and say hello by clicking here. Throughout the day we will host some games, and the authors will share a bit about their own books as well as doing some giveaway's. We invite you to join us by clicking here. 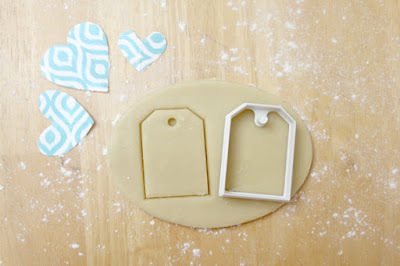 In a large bowl place your flour, baking powder, spice and brown sugar, use a pastry blender to combine. Add your butter, cutting it in with the pastry blender until well combined and looks like bread crumbs. Chop and add your apples to the bowl mix them, coating them in the flour mixture. Once your water is boiled pour the hot water over your raisins and allow to plump 2 minutes. Add 1 tsp of vanilla to the raisins and the water. Make a well in the center of your flour bowl and add your egg and milk, use a spatula to blend the wet with the dry, next add your raisins and water mixture and fold until combined. 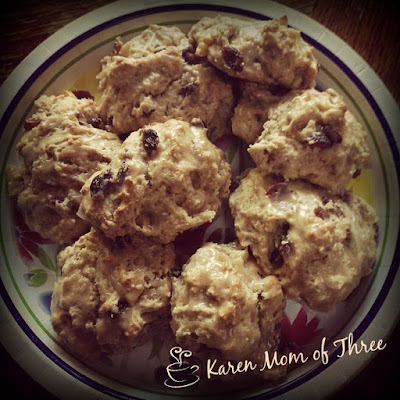 On parchment lined baking sheets drop equal spoonfuls of your scone mixture evenly spaced I make mine the size you see at coffee shops but you can make them smaller if you like just watch the cooking time. Bake until your scones are a lovely golden brown along the edges and top. * You can make an icing sugar glaze as well if you wish with a 1/2 cup of powdered sugar, a bit of water and a dash of vanilla mix and drizzle over your scones. 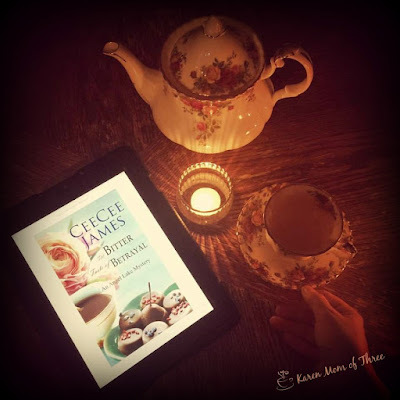 Remember to pop over and join me for a Witches Tea by clicking here for our Facebook event. I hope to see you soon! 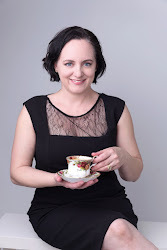 Today I am thrilled to have author Joyce Tremel of the Brewing Trouble Series join us today for a cup of tea and a chat about her series. I am also thrilled that her publisher has given me the chance to give one of my lucky USA readers the opportunity to win a copy of her book for their own. 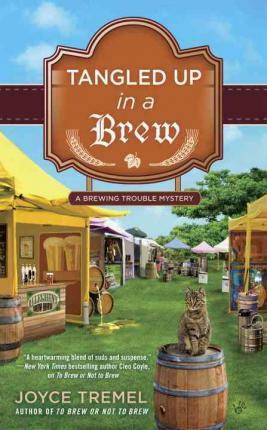 Tangled Up In Brew is the second in the Brewing Trouble Series and one I really enjoyed! 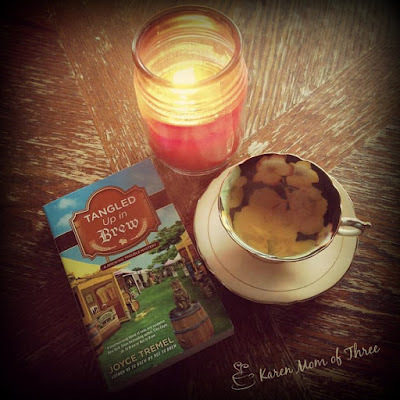 KMOT: When you are writing what sustains you Tea, coffee or other? JT: Definitely coffee in the morning and sometimes in the late afternoon. Usually water during the day, with an occasional beer in the evening. KMOT: What gave you the idea to write about a female Brew master? ask if I'd be interested in coming up with a proposal for a cozy. Of course, I said yes. I wanted to find a hook that no one had done before and after some research I came up with the brewing idea. KMOT: When writing your character how much research into the development of beer making did you do? JT: What I knew about beer before was mostly from drinking it, lol. I did some initial research online, then contacted a couple of local brewery owners who were very helpful. 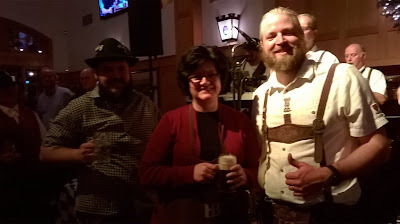 I toured the breweries and asked questions. There's a lot more to the process than I realized at first. KMOT: I loved the main character Max's depth, her back story is fun and her family is a riot, where did you come up with the idea of her? Max petite to make even more of a contrast with the other brewers. Her family evolved from the fact I made her Irish and Catholic. A large family and a brother who's a priest just made sense. Will we see more of "Mrs Claus" in book three? Definitely! Book three (A Room With a Brew) is with my editor now. All the questions everyone has about Candy's past come to light, including one huge surprise. I probably shouldn't admit it, but it's my favorite of the three books. I'm working on a proposal for a possible book four. My fingers are crossed that Berkley will want to continue the series. 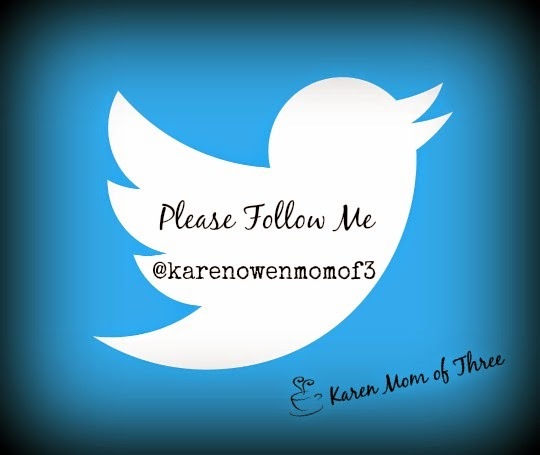 Email me at karenmowen@gmail.com with HOPS in the subject line, please include your US mailing address for your chance to be entered in to the random draw giveaway. Chances or winning are dependent on number of entries received. Contest open from today October 25-October 28th. 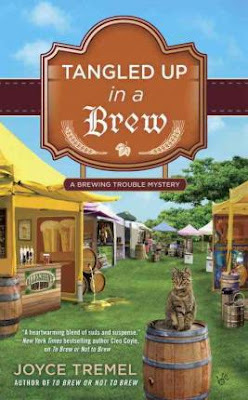 To order your one copy of Tangled Up in A Brew please click here. Learn more about Jocye Tremel by clicking here. Saturday night I read CeeCee James Bitter Betrayal. This is the second book in her Angel Lake Mystery series. I loved the cover of this book. When Elise and Lavina set sail, I was hoping for calm waters and then remembered I was reading a mystery book. From the start it was funny and it was fun to read. I liked the characters, setting and mystery. I also know I don't want to go on a cruise anytime soon! So many great mystery scenarios! While this mystery did not take place in Angel Lake it did have good cozy ties. As we are still getting to know these characters it was good to spend time with them again but I am dying to know who Mr. G is! The only thing worse than a ship overrun with Elvis Impersonators is having to find the missing one.When Elise Pepper decides to take a long overdue vacation, she discovers that her Caribbean cruise isn’t going to be quite the relaxing trip she’d hoped for.Instead of enjoying a quiet getaway, she finds herself in the middle of a theme party. Who knew there were so many Elvises and Marilyn Monroes in the world?But when an Elvis goes missing and it turns out he was a wealthy philanthropist Elise is dragged into the mystery as the last person to see him. As she tries to convince everybody of what she saw, her frustration turns to fear when she realizes that she’s trapped on board with a killer who will stop at nothing to silence her. 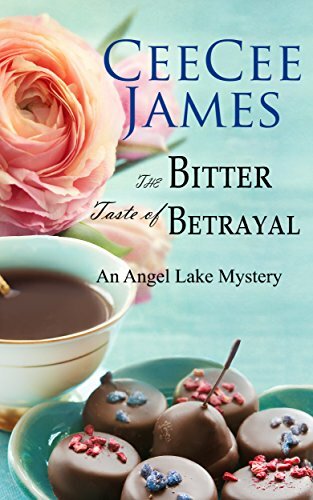 To order your own copy of The Bitter Taste of Betrayal from Amazon please click here. Friday on my table I had and advanced reading copy of Death at First Sight, a new first in series by Lena Gregory. This is a Bay Island Psychic Mystery. I am a sucker for a cozy series with a lighthouse, make it one with a possible paranormal twist and I am pretty excited. 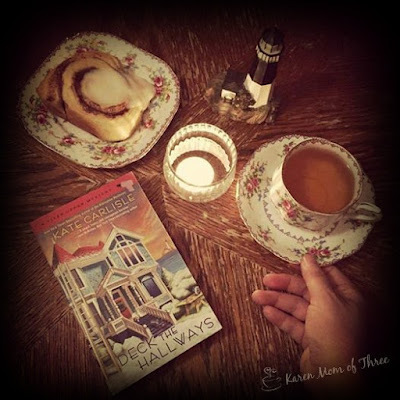 I was quite surprised with this cozy and even though the theme of the cozy is a Psychic Mystery this is really more of a cozy with a touch of paranormal thrown in. I liked the story. I loved the characters and main character Cass, is as complicated as they come, Psychiatrist turned Psychic Shop owner and yes you read that right, makes for a very interesting back story. Two best friends who are fabulous and how their stories intertwine and connect is quite clever. The addition of the classic cozy mystery furry companion does add to the charm of the book. Death at First Sight is out November 1st. Find out more about Lena Gregory on Facebook by clicking here. Order your own copy from Amazon by clicking here. Saturday is here again and much has happened this week I wish I could just forget, some weeks are like that and this one was one I wont be sad to see go. 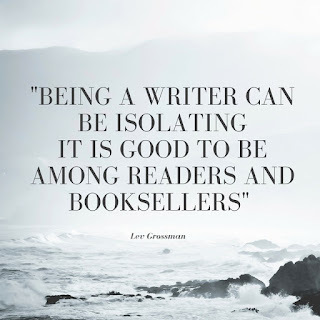 Even though there were things out of my control this week and that left me longing for calmer seas, I was very grateful to have had some wonderful books to read and escape to this week. 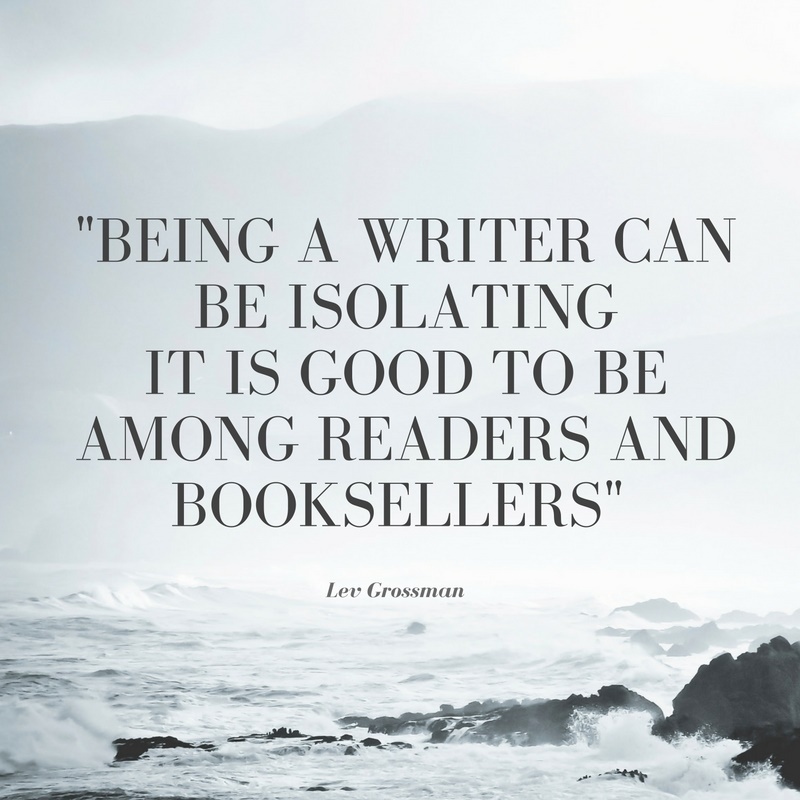 I do not feel it is wrong to escape with a great book and actually I wish others could find that joy and release in a book as I do, but you dear reader already know that. So with out further melodrama here are some of the wonderfully written books that I have had the pleasure of having on my table this week. Monday I was thrilled to be able to share my review of Casket Cache, this book by Canadian Author Janice J Richardson was one I wont soon forget. 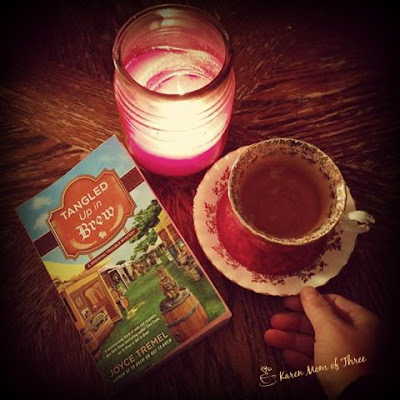 The idea of a cozy built around a funeral home business was one I thought could be awkward, however what I found was a thoughtful and beautiful written serene cozy that I can not wait to read the next book. One to read for sure! 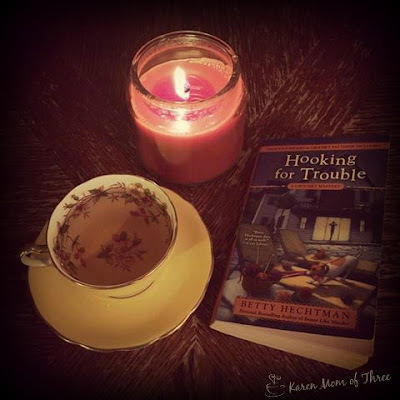 Betty Hechtman's Hooking For Trouble was fun, it was a great addition to the series with surprises I was not expecting and an ending that is not to be missed! The Good The Bad and The Guacamole, by Rebecca Adler was a good family centered cozy with a great title. 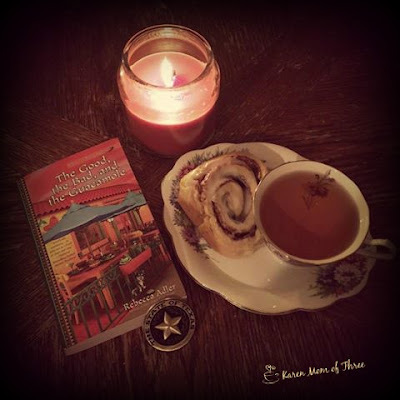 I enjoyed this taste of Texas cozy and I hope you will give this book a try as well. 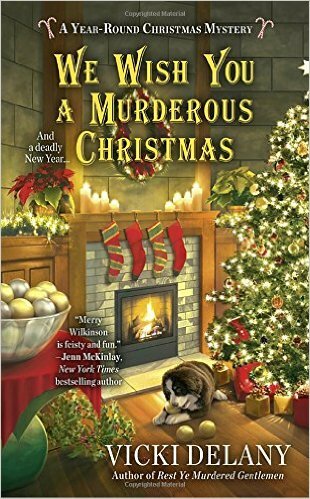 Vicki Delany's We Wish You A Murderous Christmas is the second in her year round Christmas mystery series, this one is actually set at Christmas time and is out November 1st, a great book to kick of the crazy holiday season and one that will make you happy for the holiday stress you do have and that you are not Merry! 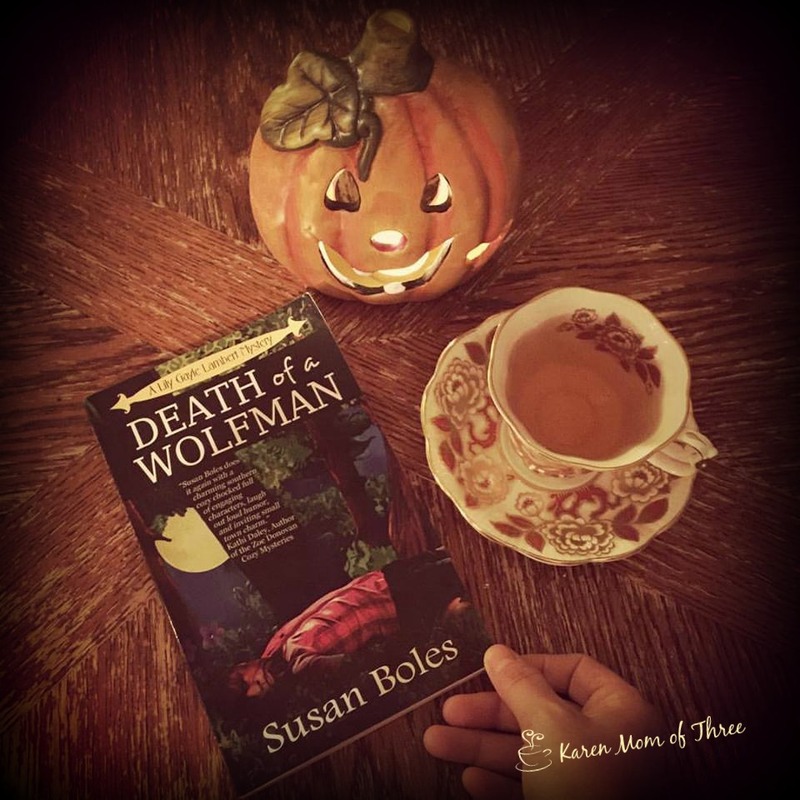 With Halloween right around the corner it was a delightful escape to have Susan Boles Death of a Wolfman to read this week. 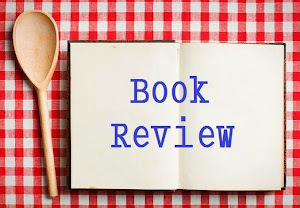 I enjoyed the dialog so much in this book, it really stood out and endeared the characters to me, Lily Gayle Lambert is a great main character and this is a series I am looking forward too reading more of. 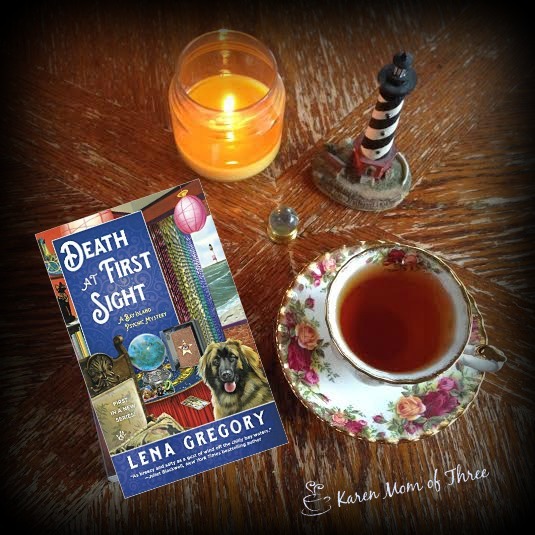 A new cozy on my table Friday morning, Death and First Sight the first in a new series by Lena Gregory. This is a review I will have for you tomorrow. 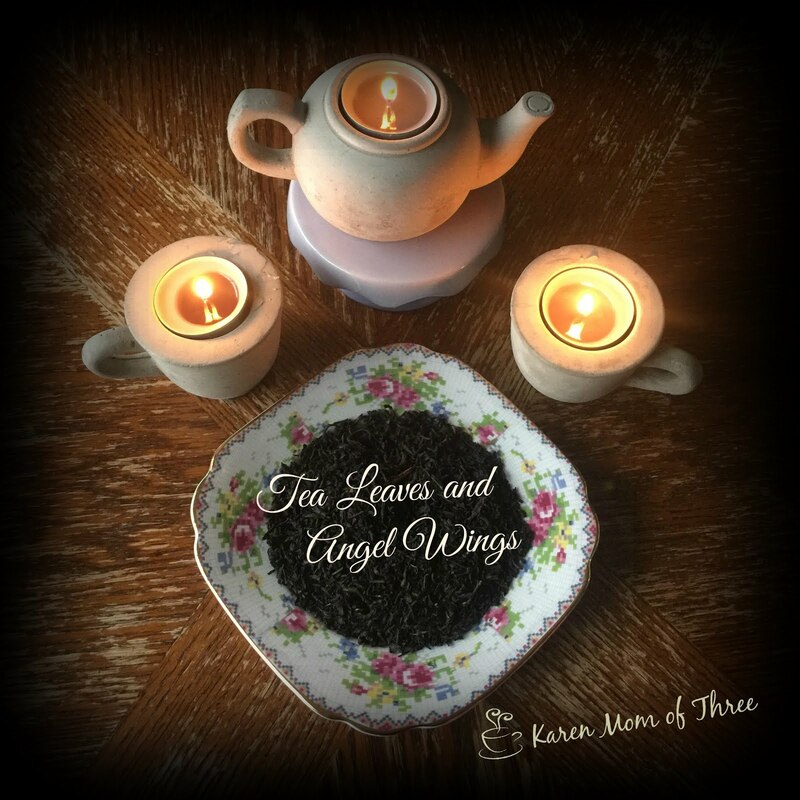 In my cup this week I have been enjoying a lot of black tea, thinking I should switch to some of my more winter like herbals and add a few more of my favorites back into the mix. I found this quote earlier in the week and I loved it and the photo, today I wanted to share. 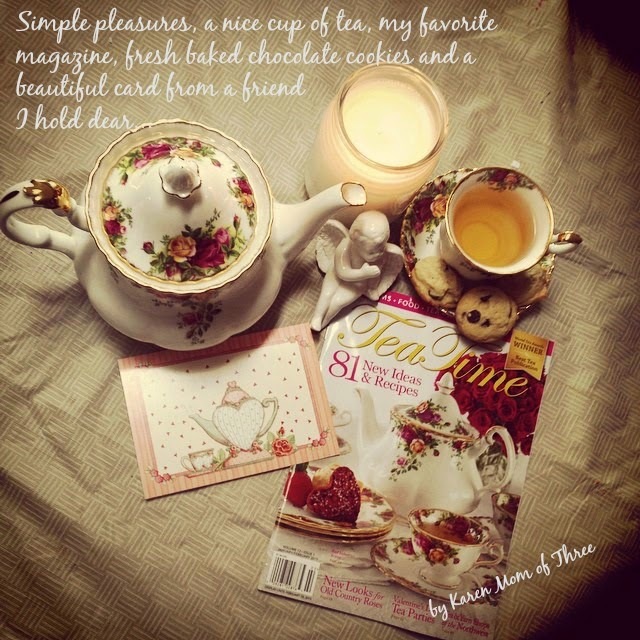 I hope you enjoy the rest of your weekend and thank you for joining me for a cup of tea and a week in review. I was sent Susan Boles Death of a Wolfman to review this week and I just finished reading it last night. This was a very good read. Perfect for Halloween this cozy takes place at the end of October and first week of November. 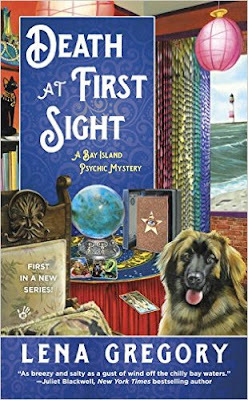 This is the first Lily Gayle Lambert Mystery and it was so much fun, I would love to read another. The relationship between Lily Gayle and her Cousin Ben is fantastic, actually it was one of the best cozy series banter I think I have read in a really long time. It was easy to picture the two of them from the descriptions and the well written dialog of all the characters in this story but it was especially true between Lily Gayle and her Cousin Ben. There are some really funny lines in this book, southern charm and grace too. I very much loved the Genealogy twist to this cozy, I loved thee way that Susan wove this tale and used history and modern tv show references to make this story feel alive. Great book, easy to read and a joy to have on my table this week. The first book in the Lily Gayle Lambert Mystery series.Quicker than she can stitch together the threads of a genealogy project she's just signed on to research, Lily Gayle Lambert finds herself embroiled in investigating the murder of a stranger who suffers from 'wolfman syndrome'. 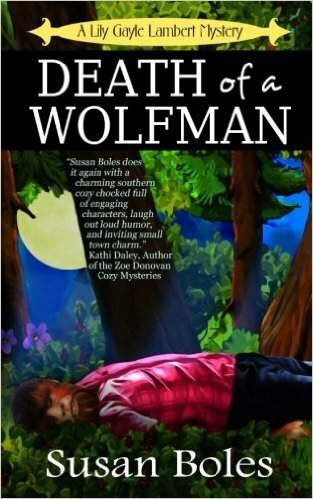 And, when a member of a prominent family turns up dead soon after the 'wolfman', Lily Gayle must find the link between the two and solve the mystery before she becomes the next target.Escaping from a trailer in the woods owned by two good ole boys and a confrontation with the eldest son of the town's wealthiest family have Lily Gayle hot on the trail of the killer...much to the consternation of her cousin. Who just happens to be the County Sheriff. With the help of her lifelong best friend, Dixie, and town busybody, Miss Edna, she pieces together the clues leading to a conclusion that shocks the entire town. To learn more about Susan Boles please click here. 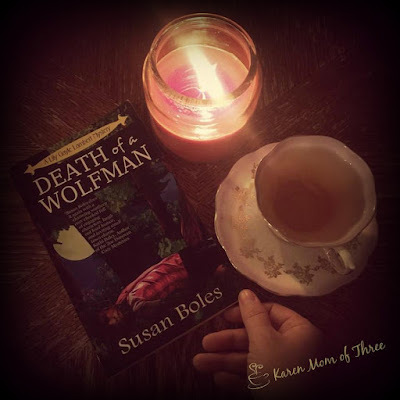 To order your own copy of Death of a Wolfman by Susan Boles from Amazon please click here. 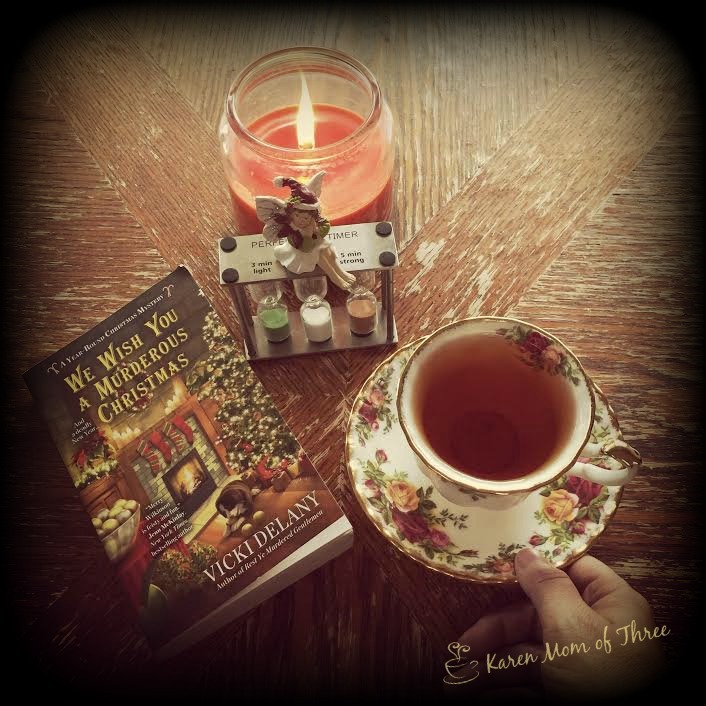 Tuesday I read and finished We Wish You A Murderous Christmas by Vicki Delany. Out November 1st, it was a true delight to get this early! The Title is fantastic don't you think? 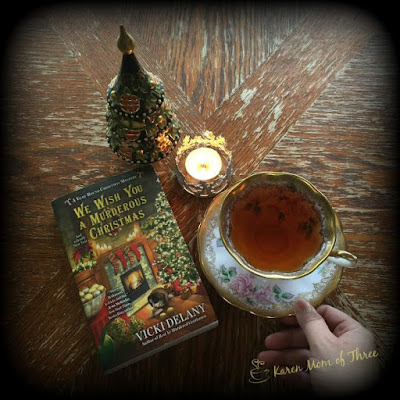 Vicki's series centers around main character Merry who's father Noel was not only born on Christmas, he runs the town too! This year round Christmas town of Rudolph, NY has no time to waste this close to Christmas. But when the son of the Yuletide Inn arrives to help his sick father and then is later found murdered. One does start to loose that Christmas Spirit! This mystery was interesting and I was very surprised by what happened and how Merry unravels the mystery. I really enjoy the idea of this series and this town, I found the characters easy to get to know and root for, the setting can not be beat either. This is a great holiday themed cozy that is much needed and enjoyed. 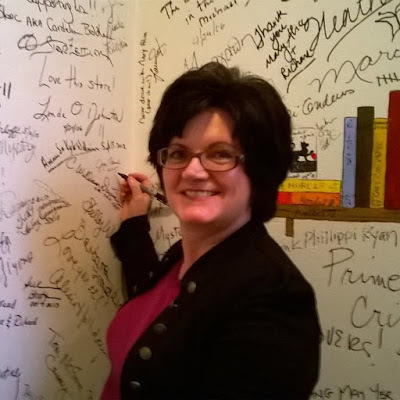 Learn more about Vicki Delany and her books by clicking here . Order your own copy for the November 1st release now on Amazon by clicking here. I love Texas. I always have, reading this Tex-Mex themed cozy was a special virtual visit for me. 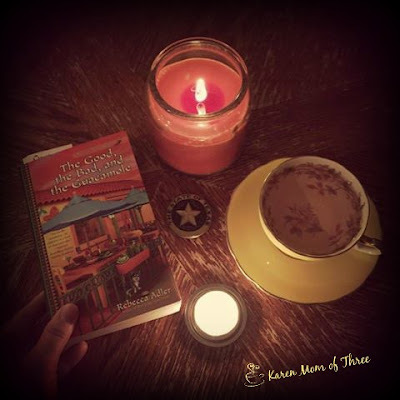 The Good The Bad and the Guacamole by Rebecca Adler was a fun and family centered mystery. I liked that this story and mystery was centered around two friends, one of them, main character Josie has a huge family in a small town, who help her navigate her return to the small town of Broken Boot Texas, giving her the support and sarcasm of a loving family. I really enjoyed the dynamic. From the mention of food in their family restaurant to the way the Josie's grandmother interacts with her and the family it was a good read. I also love that her dog Lenny has his own blog. The mystery was a fun one and I loved the dynamic between Josie and the local police. This is the second in the series and a fun read. Out November 1st this is lighthearted and fun cozy to enjoy. 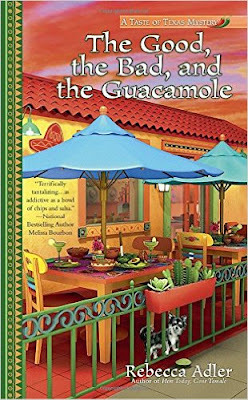 To order your own copy of Rebecca Adler's The Good The Bad and The Guacamole from Amazon please click here. Learn more about Rebecca Adler by clicking here.